A necklace to go with everything! 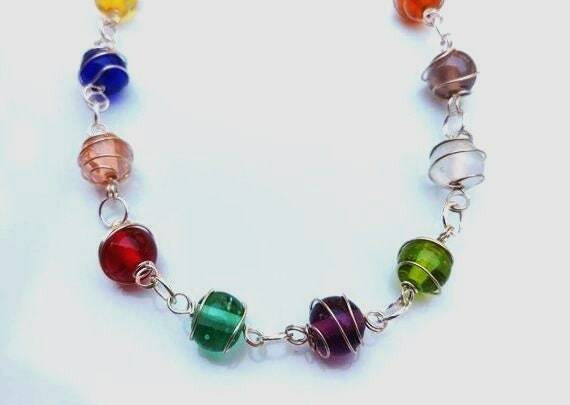 This wire wrapped glass bead necklace just might be that one necklace you can pick up and throw on, in a matter of seconds. No thought...no worry. It was designed without a clasp, so you can just place it over your head and go on with your day! This necklace is approximately 30 inches long. 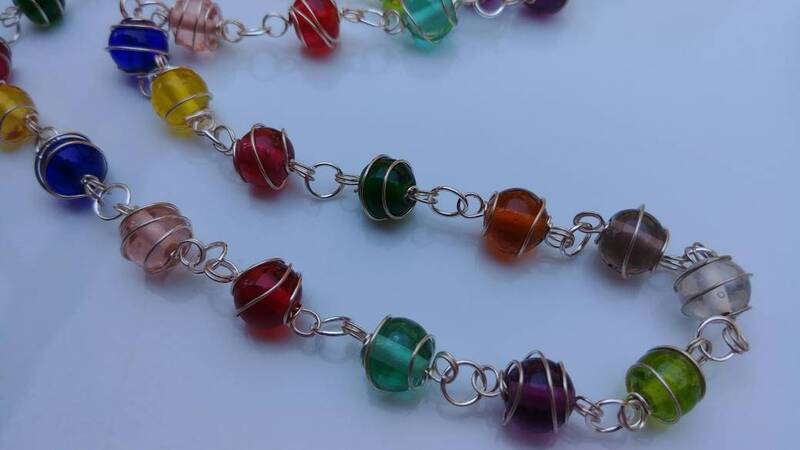 Beads vary in size but are approximately 5/8 of an inch from wire wrapped loop to loop. 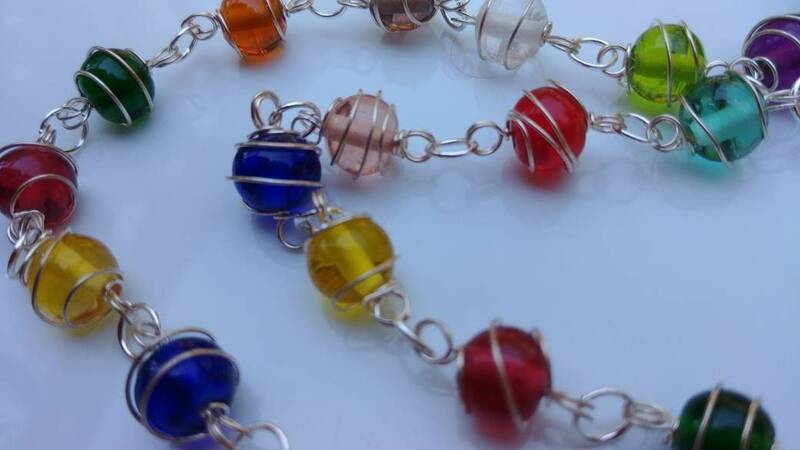 The wire wrapped bead loops are connected with silver plated jumprings. If you're looking for a different length, just ask!